TEN members of the GB Boxing squad will compete at the 2017 AIBA World Boxing Championships in Hamburg from 25 August – 2 September 2017. 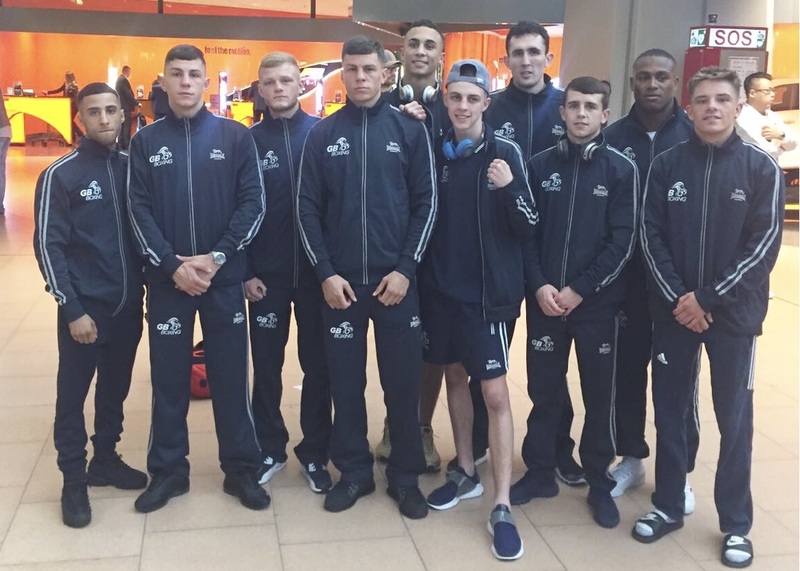 The boxers qualified for the event by virtue of their performances at the European Championships in June when boxers from Great Britain came home with a record haul of eight medals, made-up of one gold, six silvers and a bronze. For Liverpool bantamweight, Peter McGrail, who won gold at the European Championships, the World Championships is the next staging post in a journey he hopes will conclude at the 2020 Olympic Games in Tokyo. McGrail said: “This is the next big competition for me and, after winning the European Championships in my first appearance at a major tournament, I am going into it feeling confident. He is joined in the team by five of the boxers that won silver medals at this summer’s European Championships in Kharkiv (Ukraine), including twin-brothers Pat and Luke McCormack, Rio Olympian, Galal Yafai, flyweight, Niall Farrell and heavyweight, Cheavon Clarke. The McCormack twins are part of a trio of boxers from Birtley ABC in the team along with lightweight Calum French, who brought home a bronze from the European’s in the summer. Scottish bantamweight, Lee McGregor, light-heavyweight, Thomas Whittaker-Hart and middleweight, Ben Whittaker, complete the line-up. The trio missed out on a medal at the European Championships but did enough to qualify for the World Championships and will take their places when the action gets underway in Hamburg on Friday. The one boxer to miss-out is super-heavyweight, Frazer Clarke, who took silver at the European Championships in June, but will not be able to compete in Hamburg as he is recovering from an operation to mend a hamstring that he tore en-route to the final in Kharkiv. GB Boxing’s Performance Director, Rob McCracken, said: “This is very talented but still relatively inexperienced group so to have qualified 10 of them for the World Championships is an achievement in itself. “The European Championships in June were a first major tournament for eight of these boxers (Galal Yafai and Pat McCormack had competed at the Olympics in Rio) so for all of them to qualify for Hamburg and five of them to win a medal was a tremendous performance.